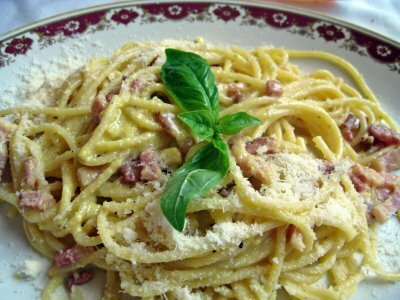 My favorite pasta dish in the world is Spaghetti Carbonara, and the best place to eat it is in Rome. 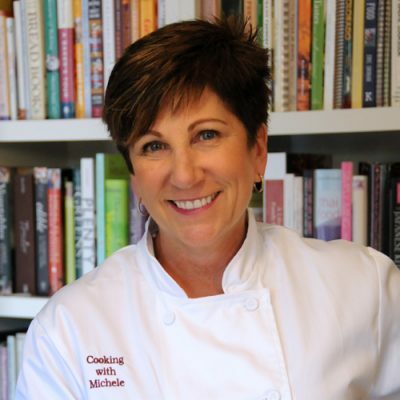 I’m putting the details together for my next culinary trip to Italy for April of 2010 and details will be in the next newsletter – won’t you join me for an unforgettable trip? My Carbonara isn’t as good as they make in Rome, but it fills in nicely to hold me over between my trips to Italy. Look for high quality pancetta from Italy if you can find it as it’ll make all the difference in the taste of the dish. 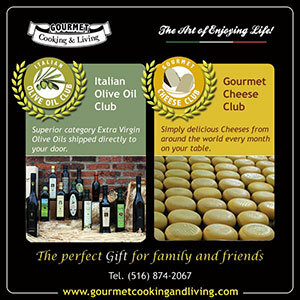 And only use the very best Parmigianno Reggiano grated over the top. Cook pancetta in a large skillet until crisp. Add butter and melt, then add garlic and sautÃ© but do not brown. Add the heavy cream and bring to a simmer. Add the Parmesan. Season to taste with salt and white pepper. Add the fettuccine. Toss and heat completely. Add the egg yolks and quickly stir to incorporate the eggs and thicken the sauce. Do not allow the sauce to boil. Garnish with parsley and serve immediately. 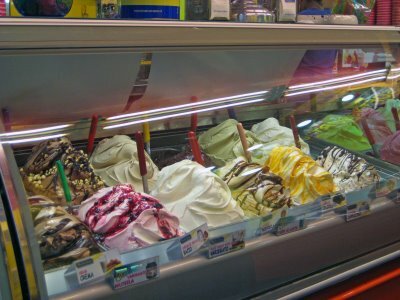 In Italy we would finish off that meal after a walk around the city with gelato from any of the great spots, Giolitti in Rome being my favorite. 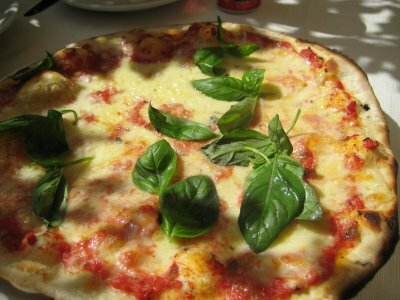 I don’t eat much pizza at home, but I can’t get enough of it in Italy – thin and perfectly crisped crusts, only the freshest ingredients (look at those basil leaves), and simply prepared, you can’t beat it for lunch. If you join me for the cooking school, you’ll meet Silvestro (above) who heads up The Awaiting Table Cookery School in Lecce. 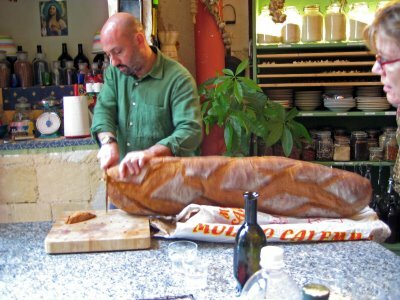 You’ll also meet Luca, the man behind that giant loaf of bread. This is Giuseppe who teaches at the school – have I mentioned how gorgeous the Italian men are?!?!?!?!?! 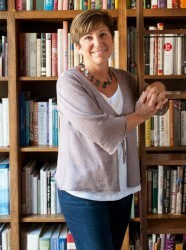 I’ve been to Italy….loved it and the food! This looks so amazing, I’m drooling! I especially love all the natural and full fat ingredients. Just the way delicious food tastes best. Thanks!